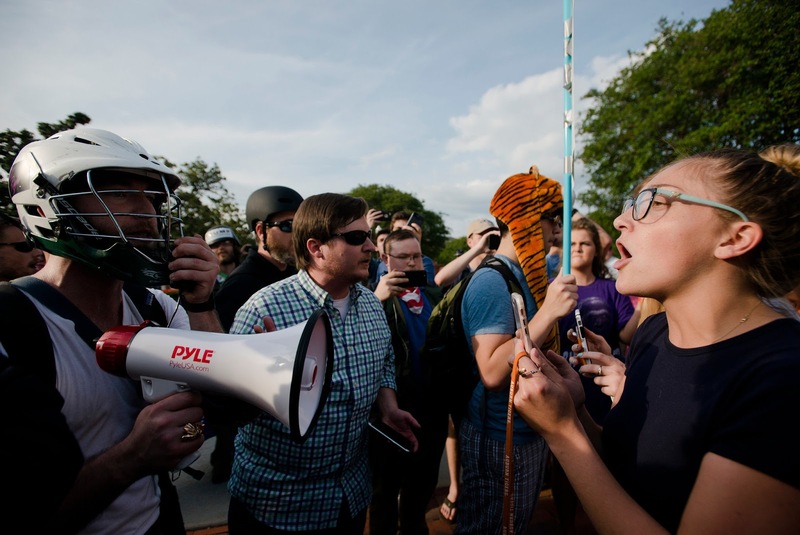 Free speech issues have been intensifying on American campuses. About a year and a half ago The Liberal Pulpit wrote about "Resolving the Paradox of Tolerance." We argued then that policies of tolerance should aim to maximize the overall climate of tolerance. Some intolerance can be tolerated in the interest of maximizing the overall climate of tolerance, while other intolerance cannot be tolerated. Following this approach, the question would be whether the speeches by Yiannopoulos, Murray, MacDonald, and Spencer, had they proceeded without protest, would have done more damage to the overall climate of tolerance than not allowing them to speak would do. The issue, however, is better cast as one of acceptance and respect than of tolerance. So is the climate of acceptance and respect degraded when a university gives Yiannopoulos, Murray, MacDonald, or Spencer a platform for their views? Is it degraded more by protests that block or hamper these speakers' expression? "Though all the winds of doctrine were let loose to play upon the earth, so Truth be in the field, we do injuriously, by licensing and prohibiting, to misdoubt her strength. Let her and Falsehood grapple; who ever knew Truth put to the worse, in a free and open encounter?" The problem here is that there never was nor ever can be any such thing as a "free and open encounter." Long before Milton, Aristotle had identified ethos, pathos, and logos as the modes of persuasion. The speaker's ethos (character and credibility) in the eyes of a given audience, always an essential factor in persuasion, is a reflection of dynamics of power that have nothing to do with truth and that inherently tilt the playing field. Pathos (rousing the audience's emotions), whether prominent or subtle, done effectively or not, is also always a factor, and adds constraints to every encounter. The background knowledge and experiences that audience members bring with them place significant restrictions on their persuadability. These are not the constraints and restrictions of "the truth of the matter" or "the way reality is," but tend more to be the constraints and restrictions of confirmation bias, ego defense, wishful thinking, and other manifestations or tools of power. If you had been imagining that invited speakers at universities are part of a system of "free and open encounters" from which Truth can never be "put to the worse," I urge you to stand disabused. Second, "free marketplace of ideas" is not at issue. These speakers -- and, indeed, any speaker invited to speak on a college campus -- are not presenting otherwise unavailable thoughts. Rather they are further publicizing ideas they have already published. Moreover, the prominence of the internet ensures ready access to all manner of offensive expression. Given online connectivity, the free market of ideas can be in no danger, and has never offered so wide a range of wares so easily to so many. Third, dehumanizing or delegitimizing groups of people reduces free speech. We cannot remove ethos from public discourse -- and, insofar as we can coherently imagine what that would be like, we wouldn't want to -- but we can reduce barriers to access to ethos based on group membership. Free speech is maximized when all members of a given community can participate as fully recognized members of that community. Speech that functions to diminish the character and credibility of others because of their membership in a racial, ethnic, gender, gender identity, sexual orientation, or religious group diminishes free speech. A campus speaker who denies the holocaust, or who explicitly supports white supremacy, or who claims that trans people are really men and women in disguise (as Ben Carson has done) invalidates the humanity of some people. That's an overall reduction in the climate of acceptance and respect, and, as such, reduces free speech. When our prestigious universities were populated entirely with middle- and upper-class, white, presumptively straight males, a guest lecturer committee would have been hard-pressed to find a speaker to invite to campus who would threaten the humanity, legitimacy, or belongingness of any portion of their audience. The world was so ordered as to make possessors of whiteness, maleness, and wealth so secure in their belongingness as to be unthreatenable. While the world is still largely ordered that way, universities now strive to be inclusive and diverse -- to be a home to members of groups not so secure. If the members of those groups are required, as a condition of entering discourse, to first defend their human worth, then the university has not provided all its members equal access to public speech. These, I think, are the issues to which to attend in considering who to invite to speak on campus. Yiannopoulos and Spencer do more damage than good to campus free speech. As for Murray or MacDonald, I don't have an opinion on whether it would be better to debate them or not invite them -- but, since I'm a middle-class straight white cis-male, my own opinion on that is not the important one. We must listen to those whose human worth is more in jeopardy. 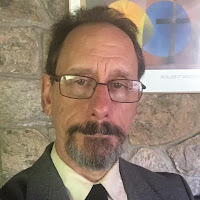 With all due respect, I find it very disturbing that a prominent UU minister would do a blog post that is so hostile to the basic values of liberal democracy. Perhaps you should consider renaming your blog -- the "Liberal" Pulpit does not seem to fit. 1. There is a big distinction between whether a given group within a university or the university as a whole SHOULD invite a given speaker, versus whether the university or groups within a university are entitled to censor a speaker invited through some process that is open to all. So, for example, there is the question of whether Charles Murray or Ann Coulter or Milo or Richard Spencer deserve to be among the speakers that either the university, some department of the university, or some group within the university SHOULD choose to invite to a university. It is a very different issue as to whether the university or some group should seek to block a speech by one of these folks if they have been invited by some process that is normally followed. Just to make my position clear, if I were on some speakers' committee in a university or a university department, or a member of some campus organization, I would not favor inviting any of these people, for various reasons. But I also think that if some student group or other recognized university organization invites them, and if the university has some general policy of allowing student groups or other organizations to invite speakers, that it would be an infringement of principles of free speech either for the university to then block their speech or for some group to prevent them from speaking. Protest that does not block the speech is of course perfectly fine. Second, you fail to consider practical politics in any realistic manner. It is very clear that students seeking to forcibly deny the right of these persons to speak on campus is politically a very bad idea. Catherine Rampell of the Washington Post recently wrote a column that was appropriately titled: “Why should college students let their enemies speak? Naked self-interest. “ https://www.washingtonpost.com/opinions/why-should-college-students-let-their-enemies-speak-naked-self-interest/2017/04/13/b9c1c1fa-2078-11e7-ad74-3a742a6e93a7_story.html?utm_term=.cd96f64df580 As she cogently argues, denying your enemies the right of free speech is a bad idea because it gives your enemies favorable PR, alienates potential allies, and empowers your enemies to use the same censorship tools against your right to free speech. To be blunt: trying to censor right-wing speakers on college campuses is political stupidity. I urge you to reconsider your position. It is both ethically and politically problematic. Tim, this is awesome! Thanks so much for engaging with me on this issue. My concern is to maximize free speech -- which seems to be yours too. Tolerance runs afoul of the tolerance paradox: that tolerating everything means tolerating intolerance. I recommend resolving that paradox by reference to overall climate of tolerance. Restrictions on free speech are warranted only if they improve or protect the overall climate of tolerance. So I argued in "Resolving the Paradox of Tolerance," and if you disagree with me at that stage of my position’s development, let me know. RE: "whether a given group within a university or the university as a whole SHOULD invite a given speaker” versus whether students may undertake to block a speaker once invited. The argument I made goes to the first part: the speakers in question shouldn't have been invited in the first place. Hence, my conclusion: "These, I think, are the issues to which to attend in considering who to invite to speak on campus." You indicate you agree that they shouldn't have been invited. As for the second part -- blocking speakers after they've been invited -- I raised the questions: "is the climate of acceptance and respect degraded when a university gives Yiannopoulos, Murray, MacDonald, or Spencer a platform for their views? Is it degraded more by protests that block or hamper these speakers' expression?" I'm arguing that these are the questions to ask. I answered the first question, at least in regard to Yiannopoulos and Spencer, in the affirmative. I did not, however, offer an answer to the second question. It's a tough question. Speech that functions to diminish the character and credibility of others because of their membership in a disadvantaged group diminishes free speech. If some University Committee has (in ignorance, one presumes) invited a speaker whose speech functions to reduce free speech, what can students do restore the higher level of free speech? There may be a lot of ways to answer that question -- and I have not ventured to offer one myself. I do hope, however, for some answer that is better than, "Sorry, you're just stuck with the reduced freedom of speech that results from this speaker." As I said, and you didn't challenge, if members of disadvantaged groups are required, as a condition of entering discourse, to first defend their human worth, then the university has not provided all its members equal access to public speech. My interest, as a liberal, is in providing equal access for all to public speech. I'm intrigued that you endorse the 1974 Yale statement, but then disagree with Ulrich Baer's recent NYTimes column. Baer also endorsed the '74 Yale statement -- he called it "the gold standard" and praised it because it "situated the issue of free speech on campus within the context of an increasingly inclusive university and the changing demographics of society at large" and because it "criticized the 'arrogant insensitivity' of free speech advocates who failed to acknowledge that requiring of someone in public debate to defend their human worth conflicts with the community’s obligation to assure all of its members equal access to public speech." I think Catherine Rampell's points are generally strong ones. Privileged people like me are indeed better advised to let "our enemies" go ahead and speak. I might debate them, or I might simply choose to ignore them (after all, my safety is not in jeopardy, so ignoring them presents no personal risks to me.) For those whose personhood and legitimacy is under attack, however, I wonder what Rampell would recommend. I wonder what you would recommend. Because I am not sure what to recommend myself, in the interest of equal access for all to public speech. In my opinion, we agree less than you suppose. I disagree with your argument that restrictions on free speech are justified if they can be argued to “improve or protect the overall climate of tolerance”. More specifically, I disagree with your premise, which appears to be that allowing one individual or one group to speak somehow denies the free speech rights of others, by somehow altering the “climate of tolerance”. There is no “reduced freedom of speech [resulting] from [a particular] speaker”, no matter how offensive, factually wrong, or destructive their speech. What is really going on here, in my opinion, is that some individuals or groups find the speech of others to be deeply offensive. They may legitimately be deeply offended. But the fact that some individual or group is deeply offended, and feels that their “personhood and legitimacy is under attack”, or that their “character and credibility” is being diminished, does not deny their right to free speech. They are free to speak out against these attacks, and explain why these attacks on their personhood and legitimacy are wrong. I could argue that you, as a UU minister, by espousing your views, are undermining the “climate of tolerance” within UUism. But surely it would be illegitimate for me to request that the UUA try to censor your freedom of speech. You are right that Baer cites the 1974 Yale statement, but his own views are deeply opposed to that statement. The Yale statement says speakers must be allowed to speak, and that students and others who seek to forcibly block or disrupt that speech must be sanctioned. Baer obviously disagrees. I suspect that Rampell would recommend that regardless of what student group is being considered, it is in their self-interest to allow their enemies to speak, rather than seeking to forcibly prevent that speech. But since she is not here, let me state that this is my position: it is in the self-interest of all groups to allow their enemies to speak. Seeking to forcibly block or disrupt a speaker attracts favorable PR for that speaker, disheartens and drives off potential allies, gives rise to the suspicion that you have no reasonable rebuttal to the speaker’s arguments, and provides a precedent for your own speech to be censored. What should groups do instead, when a deeply offensive speaker is invited to campus? That is a political judgment, depending on the situation. In some cases, the best course of action is to ignore the speaker, and deny them the oxygen of lots of PR. In other cases, public protests, that clearly states why the speaker is wrong and destructive, with good arguments for that position, will be a better course of action. But when public protests go beyond that to attempting to prevent the speech of the speaker, they actually tend to weaken the perceived legitimacy of the group taking this course of action. The proposed “cure” of disruption and forcible censorship is much worse than the disease. I also want to state again that I do not think your position on this issue can be fairly classified as “liberal”. I would be interested in how you would reconcile your position with the classical liberal position of such thinkers as John Stuart Mill. I don’t think this can be done.